We are always so thankful to have our readers join us here as prayer warriors on Mondays! Today we are excited to welcome many new friends from The Queen Bee Market this past Saturday! We are glad that you have joined us and hope you will stick around to be a part of the Throne of Grace community. • Praise the Lord with us for a super successful boutique at The Queen Bee. It was a big deal for us to be a part of this handmade market that we’ve been shopping at for years and never imagined we’d be at the point where we could actually be a vendor. The amount of skill and creativity represented at The Queen Bee is quite intimidating! That combined with the fact that it is a secular marketplace gives us great reason to rejoice that shoppers were craving God’s Word and so enthusiastic about our products! Here is one photo for a quick peek at the day. We’ll be posting more photos with a recap of all the great Queen Bee finds next week on Throne of Grace Thursday, so watch for that! • Please pray with us as we prepare this week for our next (and last!) big boutique of this season. We will be road-tripping it to Chandler, Arizona for the Believe Boutique at Cornerstone Christian Church. Please pray for travel mercies for myself (Molly), Deb, and my mom, Sally. Pray for God’s protection over our car as we make the 8-hour trek on Thursday (the 1st) and then return on Sunday. Please pray for our husbands and kids while we are away. We would also greatly appreciate prayers over our health as we travel. I’ve been battling a cold this weekend and hoping to be back to 100% before we leave. Deb often struggles with her health while traveling and had a difficult time last year when we went to this boutique. Bless her bravery for trying again this year! Let’s pray boldly that the Lord would keep her at 100% the WHOLE WEEKEND!! • I’m still waiting to get an update on our friend Jacob as he battles Hodgkin’s disease. However, let’s continue to pray that God would be the source of his and his family’s strength and peace during this time. Pray for COMPLETE healing and that God would be glorified as the Great Physician! • Please pray for a dear customer in Scotland named Michelle. We’ve had the joy of sending several packages to her and her family over the past year. We have another one going out today – this one containing, among several other sets of prayer cards, “How to Pray on the Mission Field”. Sweet Michelle considers her surroundings to be quite a mission field. Recent statistics show that only about 10% of Scottish people even attend church and the percentage who claim to be born-again believers is even smaller than that! Let’s pray that the Lord would make Michelle a bold and effective witness for Christ to her family, friends, and surrounding community! Blessings for a great week! 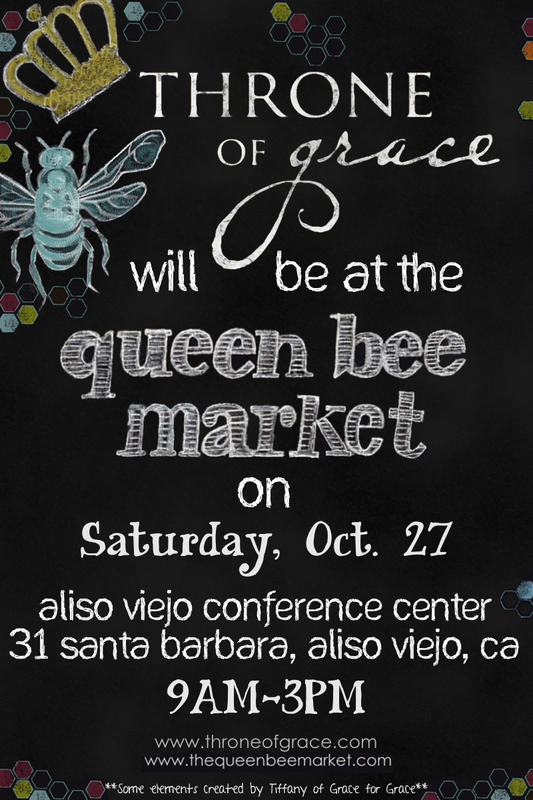 Just a reminder that we will be at the Queen Bee Market in Aliso Viejo TOMORROW, Saturday, October 27th! 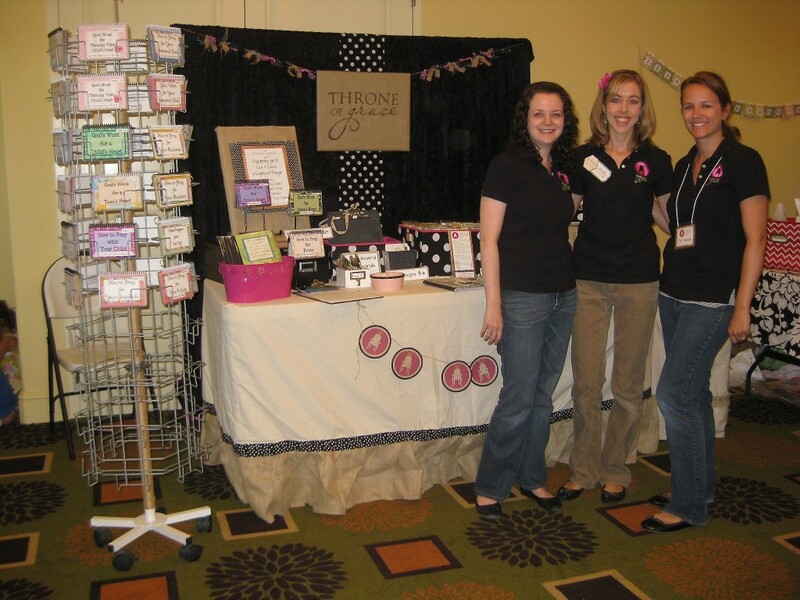 We have enjoyed being Queen Bee shoppers for years and we are so excited to finally attend as vendors! We’ll be there from 9 am to 3 pm – check out the flyer below for more details…You can also visit the Queen Bee website HERE for a complete list of fantasitc vendors! 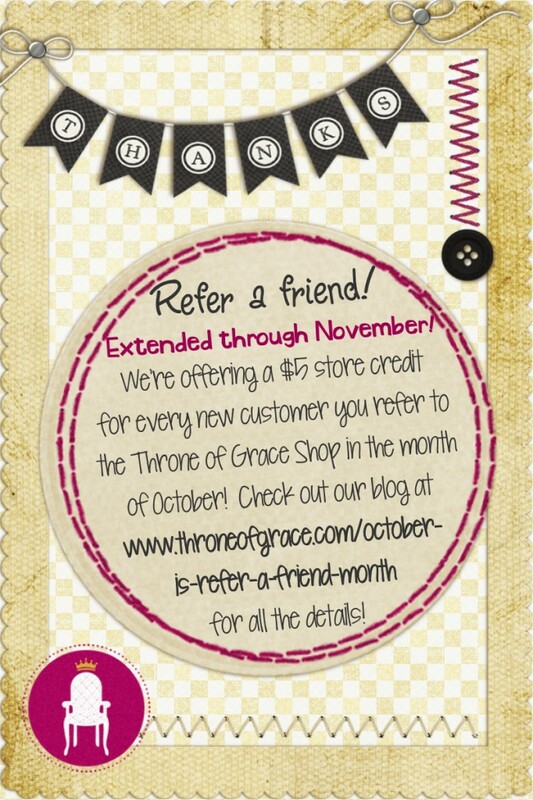 AND…if that is not enough to entice you…we’ll be offering a special discount (15% off) for Throne of Grace Facebook Fans and Blog Subscribers ONLY! 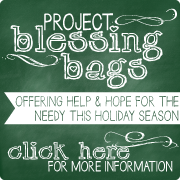 Be sure you like us on Facebook and subscribe to the blog before you come.